This is going to be such a fun weekend! Our whole family and lots of extended family members are getting together at StoneGable for a big family costume party and to celebrate my little Anderson’s first birthday! Bobby and I are going as a hunter and a deer. We will have lions and tigers and Curious George and the Man In the Yellow Hat and more! Anderson will have a “smash cake” in the shape of a pumpkin… how fun! 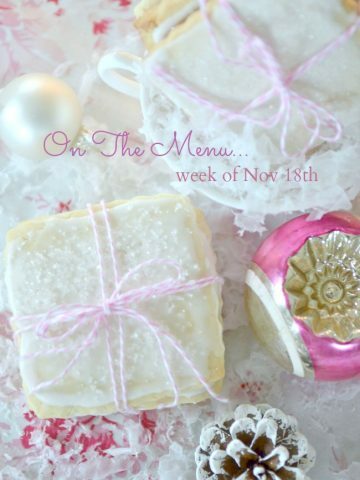 Today we are talking about WHAT TO DO N-O-W FOR CHRISTMAS. We can walk and chew gum at the same time so we can certainly plan for Christmas and enjoy fall, Halloween, and Thanksgiving!!!!! This was taken at his dedication a couple weeks ago. 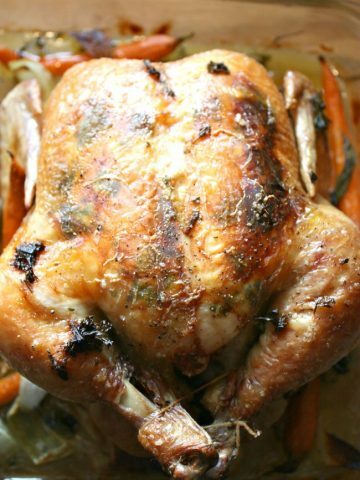 I don’t buy those emaciated, overcooked roast chicken at most grocery stores (except C0stco, they are fabulous)!!! Not when it is so so easy to roast my own big, full of flavor chicken. And no store-bought chicken can make my home smell that good! I’ve made this absolutely delicious fish dish from Cafe Delites and it is THE BEST! We try to eat fish at least once a week, but I could eat this for a few meals a week! Yes, it’s that good! Steak is such an easy meat to cook for a weeknight. My steak of choice is a small ribeye because it packed with flavor! I sear it in a cast iron pan and finish it off in a 350 degree oven for 5 minutes. 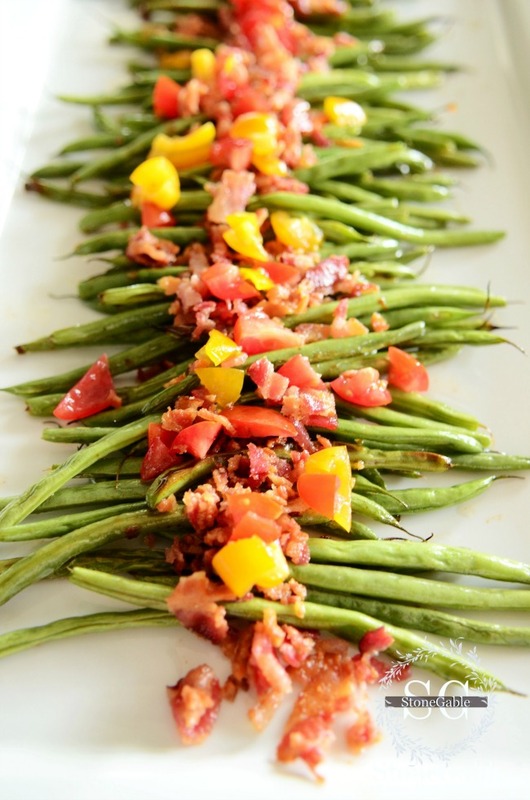 If these green beans are new to you add them to your must-make list! I love soup day!!!! Nuf’said! I’m a thigh girl, how about you? 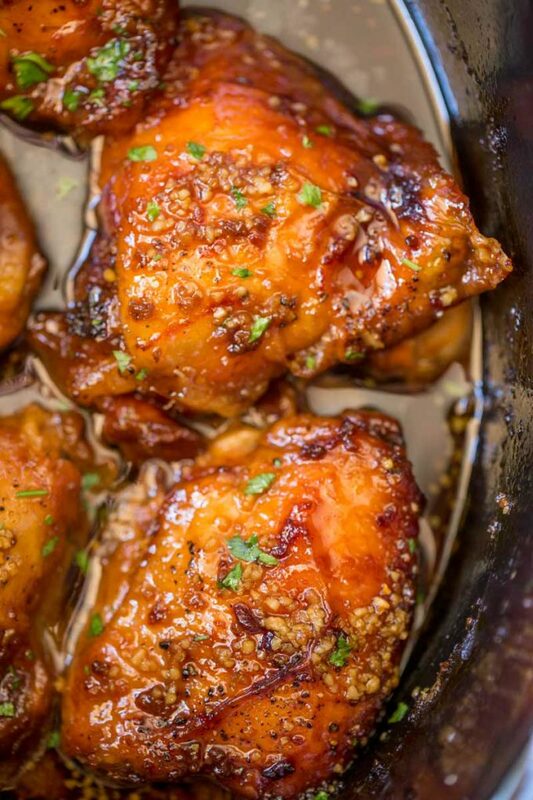 I love chicken thighs because they have lots of favor and stay moist. No dry chicken here! Scallops are one of my favorite foods. I make them occasionally because Bobby could eat at least a dozen, if not more. So they get a little expensive. I’m okay with five! This is the perfect scallop recipe. 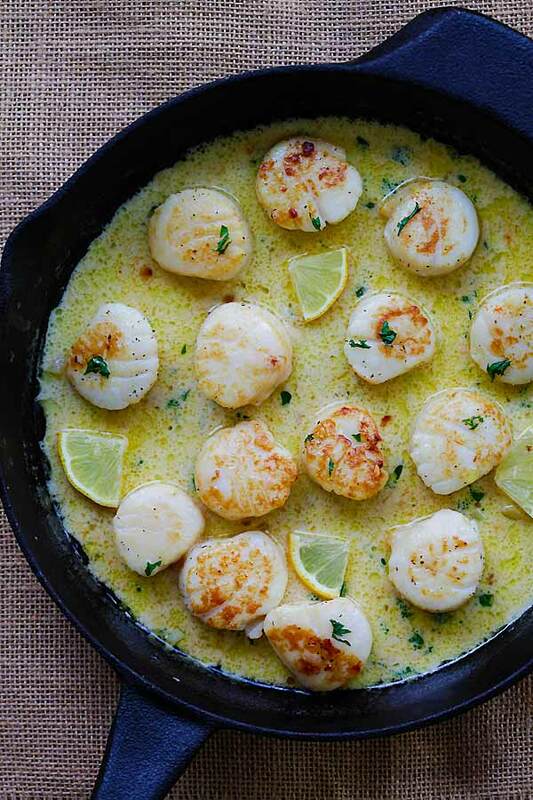 Classic and lemony and the scallops are seared to a lovely golden brown. YUM! Have you ever made your own pizza. I think it’s so fun to make a great crust or buy one at your local pizza shop. Then adding toppings to make it yours! WOW! Spinach and artichoke!!!! My fav! Aren’t these Chocolate Turtle Apple Slices adorable? I can’t wait to make them… and eat them, of course! When making this kind of desserts with apples I like to use those of a more tart variety like Granny Smith or Steiman. 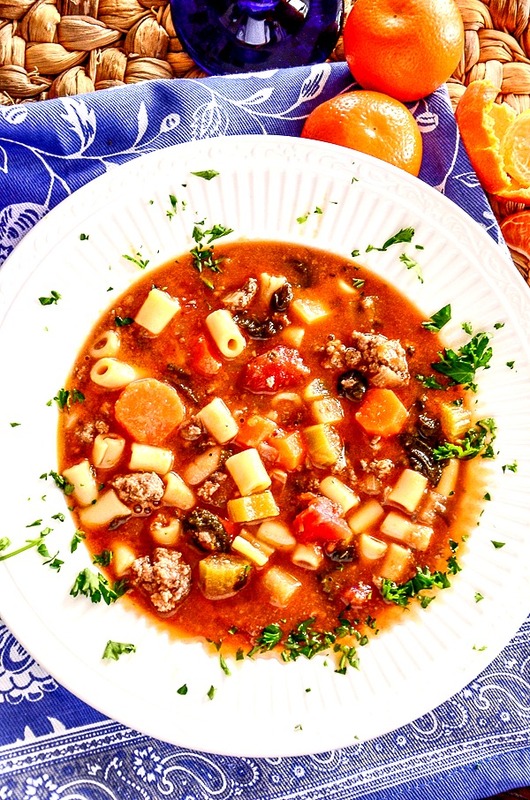 Definitely going to make a pot of the minestrone soup. Looks delicious. Your recipes look amazing! I can’t wait to try some of them…..when the World Series is over I’ll have time to try them :). Thank you so much for sharing so much with us! Your grandson is adorable! Happy 1st Birthday to him! 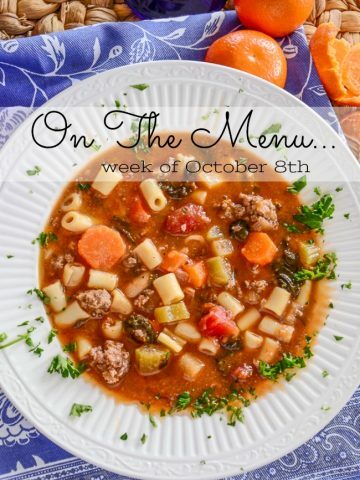 Thank you for sharing all those delicious looking recipes. I see several that I cannot wait to try. More yummy dishes ! Your Anderson is precious, can’t believe he’s going to be one, seems like he was just born.Love every minute with him. everything looks delicious! grandchildren are the BEST! Can we all say yummy to my tummy! Great ideas with loads of variety! I know what’s on my menu this week. 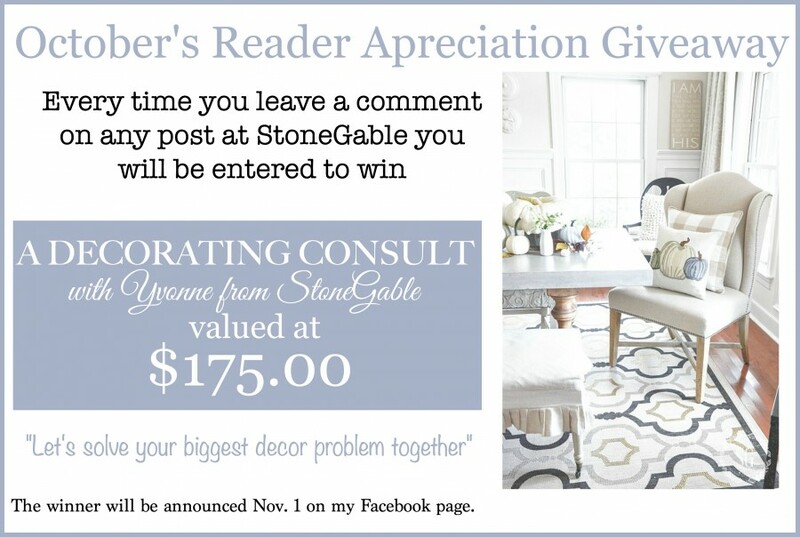 Thanks Yvonne for always being an inspiration! The Chocolate Turtle Apple slices look yummy! Those apple treats look delicious along with the chicken recipe. Thank you for these. Your grandson is beautiful! Oh my those eyes! Your weekend sounds like a lot of fun and your menu delicious! I’m actually roasting a chicken today and can’t wait to have it fill my house with that great smell! 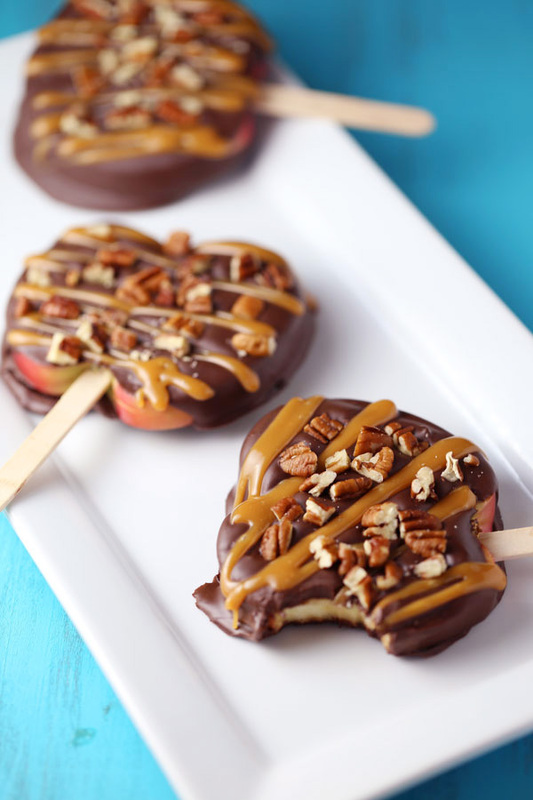 Those chocolate apple slice sound delightful! Thanks for another great menu! 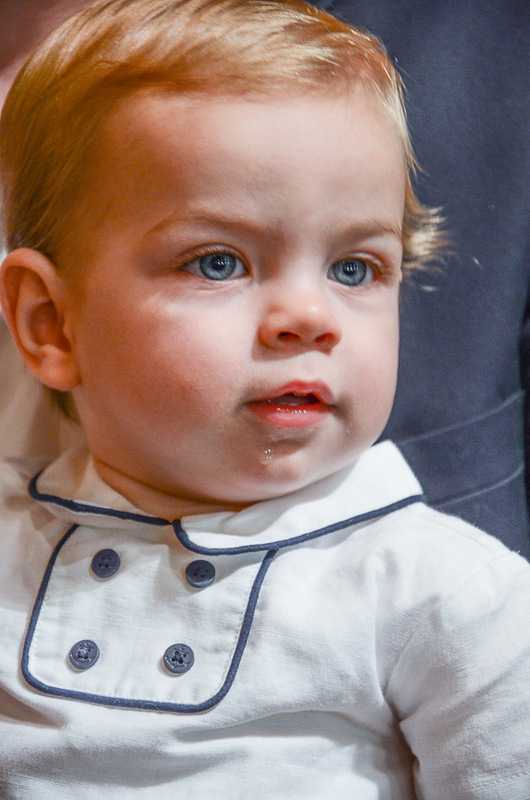 Your grandson is so adorable, thank you for allowing us to see his big blue eyes! Such a cute outfit he is wearing in his portrait! 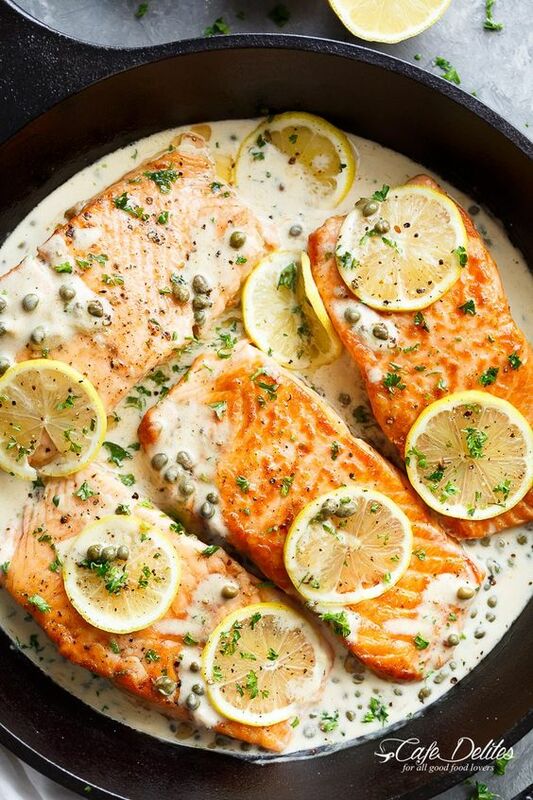 The recipes look awesome and I happen to have some salmon in the freezer. Have a good week Yvonne and Bobby. The scallops look so yummy! Oh my goodness Gigi! Sweet little Anderson is going to be so excited and enthralled with his “deer” grandmother! I have a feeling that Bobby is the hunter and you are the deer? All the festivities and smash-up cake sound fabulous. Enjoy your fun celebrations and precious family. Great recipes, yet again. The scallop meal is on the top of my list to try. Thank you for the inspiration. Love all the great recipes but I must say your grandson is beautiful.Ithink little boys can be beautiful also. Need to work on the spelling of my name ! I LOVE On The Menu day! I’ve made the Wednesday soup before, with rave reviews . I’m going to try for the pizza and turtle apples. Your grandchild is so precious . What fun he’ll have with his smash cake. Oh you lucky grandma! He is as perfect as he can be! THANKS MARSHA!!! This is one lucky Gigi! We have brown and green eyes in our family and both my grandbabies have these gorgeous blue eyes! Certainly from my in-laws side. Anderson looks exactly like my daughter (sans eye and hair color) when she was his age. It’s like getting a do-over! Oh my, sweet little face! What a great 1st bd he will have! I’ve learned to be eating when I read your menu blog so I won’t drool on my iPad. I literally stopped in mid chew when the beautiful Anderson scrolled up. Absolutely precious! Thanks for sharing this picture. You are so funny!!!! I’m thrilled that you are enjoying On The Menu! What a beautiful grandchild! I’m going to try every one of the recipes! Your Grandson is adorable. They grow up way too fast . Mt Grandson is 13 and my Granddaughter is 15. Your grandson is so adorable. 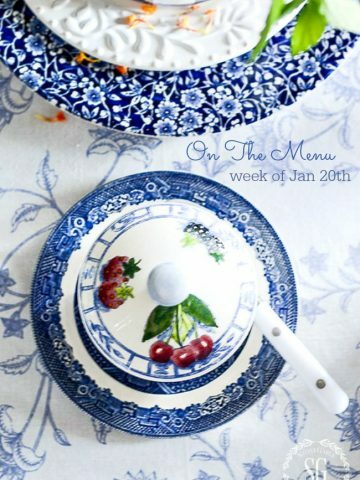 The menu items featured in your blog look amazing. 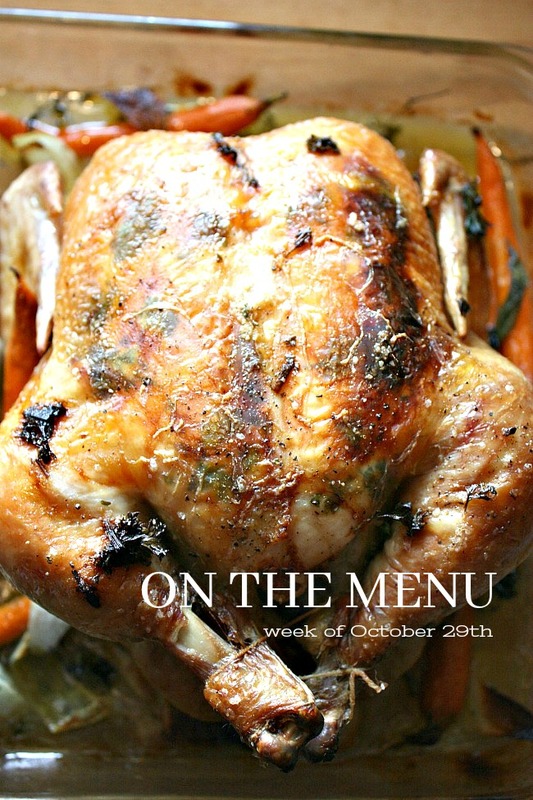 I have to try Ina Garten’s chicken recipe. I love making roasted chicken and this recipe looks delicious! Anderson is so beautiful! You are truly blessed Yvonne! 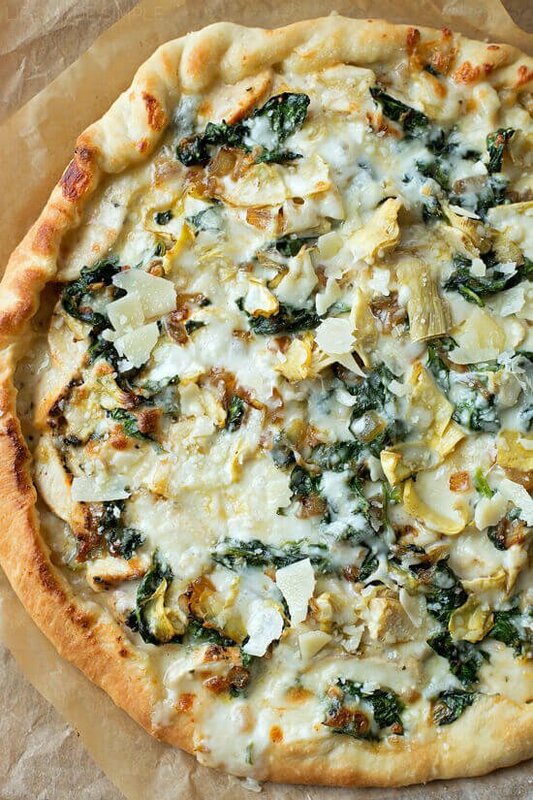 That spinach artichoke pizza has all the things I love. Yum! Must try! You’re little grandson is so cute. It is an adorable age. Happy Birthday Anderson! ? What a fun idea for a birthday party. He is going to love all the animal costumes. 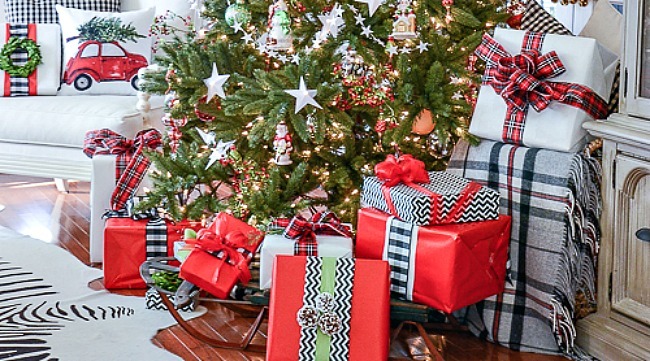 I could happily skip over Halloween and skip right to Christmas so bring on the decorating and DIYs.